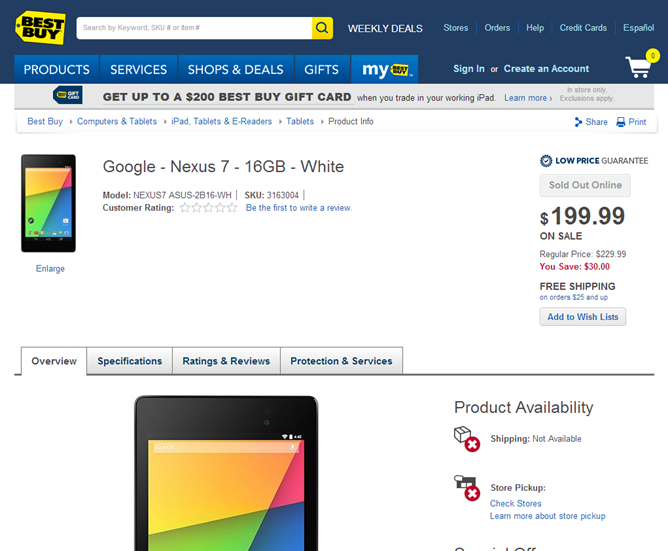 White 16GB Nexus 7 2013 Briefly Showed Up At Best Buy Before Being Taken Down - Did Someone Pull The Trigger Early? The white Nexus 7 has been available since December, and it's a thing of beauty. Unfortunately, only a 32GB version is currently offered. Sure, that's the bare minimum amount of space I'd want in a tablet these days, but that also means a price point of $269.99. 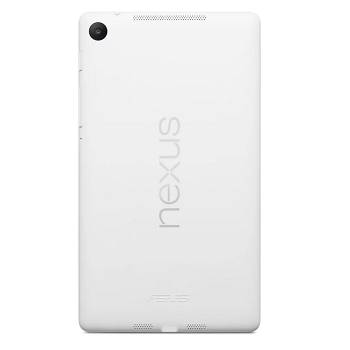 A 16GB option would allow people to pick up a Nexus 7 in white without having to withdraw as much money from the bank. Well, such a version did appear, albeit briefly, at Best Buy just this morning before being taken down. A Google cached version of the listing is still accessible. This could be a fluke, but that seems unlikely. The model number on the page read NEXUS7 ASUS-2B16-WH and a SKU number was listed. More than likely, a release is on its way. Rakuten.com also has a 16GB Nexus 7 on display, only it's marked as sold out. MacMall has a listing with the white Nexus 7's model number, but it shows the 32GB version's price. A white Nexus 7 at Best Buy's listed sale price of $199.99, or even the regular $229.99, is significantly cheaper than the 32GB model, and not everyone needs the extra space. We've reached out to Google about this and are awaiting a response. Stay tuned.